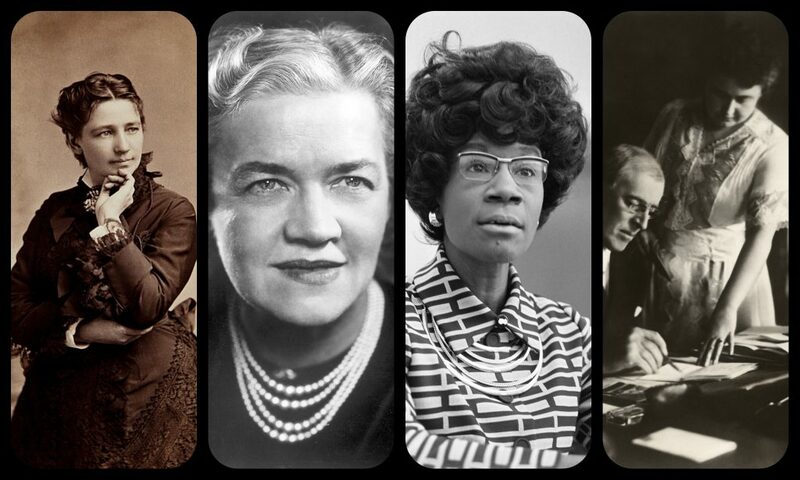 If you want to learn more about important women in American history, we recommend that you check out the National Women’s History Museum at womenshistory.org. Their goal is to build a world-class museum on the national mall in Washington, D.C. They are working to raise awareness and honor women’s diverse experiences and achievements through their online museum, educational programs, scholarship and research. Once it’s built, the museum will be the first in any nation’s capital to showcase the full scope of the history of the country’s women. I’m looking forward to one day seeing the museum finished and learning more about women like Victoria, Margaret, Shirley, and Edith and their impact on our country. If you want to learn more about today’s episode, check out Woodrow and Edith Wilson by Ruth Ashby, Madam President by William Hazelgrove, Highest Glass Ceiling by Ellen Fitzpatrick, Breakthrough by Nancy L Cohen, and Scarlett Sisters by Myra Macpherson. We want give a special thanks the women who provided the voices for this episode: Emily Carr as Victoria Woodhull, Margaret Bradley as Margaret Chase Smith, Joanne Skerrett as Shirley Chisholm, and Gio Lynch as Edith Wilson. We also want to thank our Patreon supporters. You too can support us by going to www.patreon.com/thisamericanpresident and giving a small amount per episode we release. Follow us on Twitter @ThisAmerPres.